It was a grand colourful Deepavali ~ the sound of crackers was heard throughout the day and at Triplicane (perhaps in all other places too) as one looked at the sky, the night’s stars were not visible as the dazzling fireworks lit up the sky. This is no post on Deepavali celebrations but something on a man who probably did more than anyone else to tell us about the mysteries of the night sky. The man, became famous for his discoveries about the evolution of the stars. His work was vast, and he began early, developing his theory of stars' evolution before he had even turned 20. The name * Thiru Allikkeni * (meaning the sacred pond of lily) pronounced Thiruvallikkeni by natural laws of linguistics, was crudely rolled and twisted out of shape by the English tongue as Triplicane. Triplicane houses some best historic educational institutions driving home the point of scholastic excellence for decades. Those who have been in and have seen Triplicane, would never miss that imposing [Red / Saffron] structure at 149 Big Street, Triplicane, Chennai 600 005. A landmark by itself – an imposing structure - bricks and saffron coloured walls with Indo-sarsenic architecture that has inspired many and created many worthy students. Hindu High School founded as Dravida Patasala for Tamil boys which later amalgamated with The Hindu Andhra Balura Patasala for Telegu boys that were in existence in 1852. In 1860 they were amalgamated as The Triplicane Andhra Dravida Balura Patasala and in 1898 renamed “ The Hindu High School”. It has been a great learning centre producing eminent personalities and transforming the lives of tens of thousands of people into responsible citizens for the cause of nature building. The school was for long, considered as one of the best schools in the Madras Presidency and was once the feeder school to Presidency College, another institute of formidable repute of yore. Today’s Google doodle honours - Subrahmanyan Chandrasekhar who was responsible for some of the most important research that has helped mankind understand the evolution of stars, inching closer to better understanding the nature of the universe itself. Mr Chandrasekhar, whose 107th birthday would have been today, was the first astrophysicist to win a Nobel Prize for his theory on the evolution of stars, determining that not all stars will turn into white dwarfs. Interestingly this Tamilian, Subrahmanyan Chandrasekhar was born in Lahore, on October 19, 1910 to Smt. Sitalakshmi and Chandrasekhara Subrahmanya, who was in Lahore as Deputy Auditor General of the Northwestern Railways. He was a child prodigy, who had published his first paper and developed his theory of star evolution by the age of 20. At just 26, Chandrasekhar was recruited as a deputy professor by the University of Chicago, where he spent the rest of his career. Though initially his theories and equations on the structure and evolution of stars were met with skepticism, they later earned him wide acclaim. During World War II, he performed research for the US Army, and was invited to join the Manhattan Project which produced the world's first nuclear bombs, but delays meant he didn't contribute. Scientists acknowledge that Mr Chandrasekhar’s work challenged previous understanding of the late-stage evolution patterns of stars. That understanding, concluded by scientists in the early 1930s, determined that after stars would collapse into white dwarves after they converted their hydrogen and helium stores. White dwarves, which are about the size of Earth, are extremely dense from the compression of the star’s electrons and nuclei. However, Mr Chandrasekhar was to expand on that understanding, determining that not all star is created equal ! He found that some stars don’t simply stop contracting later in life. Stars that have a mass more than 1.44 times that of our Sun, he found, would continue to contract. That 1.44 figure, known as the Chandrasekhar limit, was a major step in understanding how neutron stars are created, and what sparks supernova explosions. 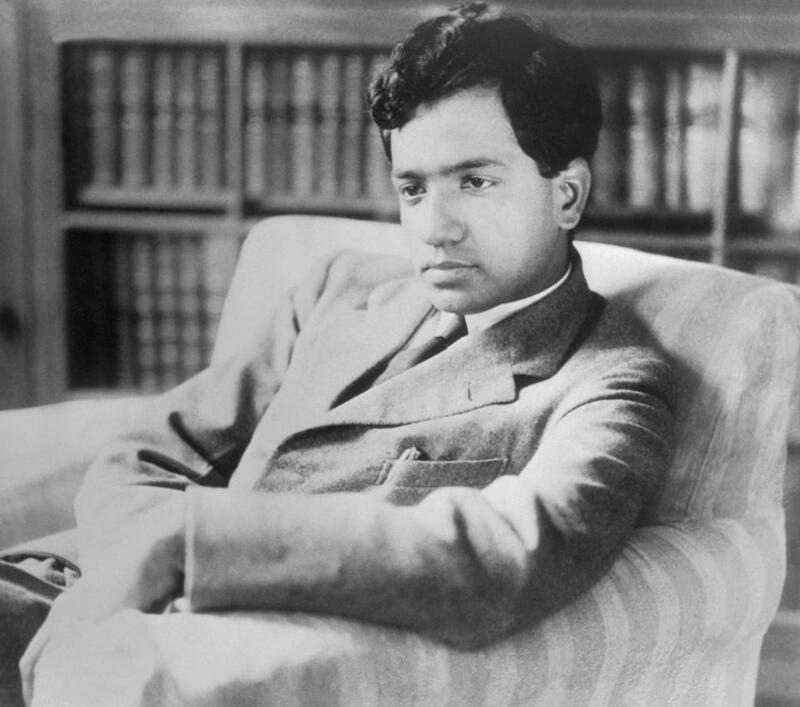 The Indian-American physicist was also elected to the Royal Society of London before the age of 34, and became a distinguished service professor of Physics not too long after that. These included the National Medal of Science, the Draper Medal of the US National Academy of Science, and the gold medal of the Royal Astronomical Society. Pinnacle of glory was to be conferred later as Mr Chandra was awarded the Nobel Prize in Physics, which he won in 1983 alongside William A. Fowler. The decorated astrophysicist died suddenly of a heart attack at the University of Chicago hospital at the age of 84. His wife, Lalitha Chandrasekhar, survived until 2013, when she passed away at 102. His paternal uncle was the Indian physicist and Nobel laureate C. V. Raman. His mother was devoted to intellectual pursuits, had translated Henrik Ibsen's A Doll's House into Tamil and is credited with arousing Chandra's intellectual curiosity at an early age. The family moved from Lahore at 1916 to Allahabad and after two years, finally settled at Madras in 1918. Chandrasekhar was tutored at home until the age of 12. He attended the Hindu High School, Big Street, Triplicane, Madras during the years 1922–25. He later studied at Presidency College, Madras and the University of Cambridge, where he was to spend most of his career at the University of Chicago. In 1998, the search engine founders Larry and Sergey drew a stick figure behind the second 'o' of Google as a message to that they were out of office at the Burning Man festival and with that, Google Doodles were born. The company decided that they should decorate the logo to mark cultural moments and it soon became clear that users really enjoyed the change to the Google homepage. For that worker under twenty five years, it is a good salary. Hope it won't freeze with that number and can grow professionally for your age because it is in Japan. If you wish to begin with bigger salary, you need to focus on your term papers better on your education. That's the method to learn to recommend yourself in the resume point, as nobody will charge a fee the privet interview straight after your graduation. Employers searching on papers before they'll help you. uk best essays review proves me right.